Breastfeeding versus formula feeding has long been a hot-button issue that can pit mom against mom. The recent death of a B.C. woman who suffered from postpartum depression is drawing new attention to the debate after her husband penned a letter saying she had anxiety over breastfeeding. Being a mom to three boys is not a job Trish Bentley takes lightly – and neither was the choice over whether to bottle-feed or breastfeed them. Bentley kept trying, with little success, to breastfeed after each of her babies was born: Olly, now seven, Eddie who's five and her youngest Ben, who is 19 months old. "I felt like a failure," she says. "I thought, here is the biggest job on the planet, and here in my first month, I am failing miserably." Feeling guilty and depressed, she eventually felt she had to switch to pumping and supplementing with formula. But soon after, at a gathering with friends, she says she was brought back to some of those negative emotions, saying she felt disapproval and judgment after the topic of feeding came up. "They all said, 'Oh, just bring the baby in here, just put him back on your breast. Try again, come on,'" she recalls, the episode still clearly riling her up. "And I'm like, 'You don't think that I haven't tried that? For three babies now?'" 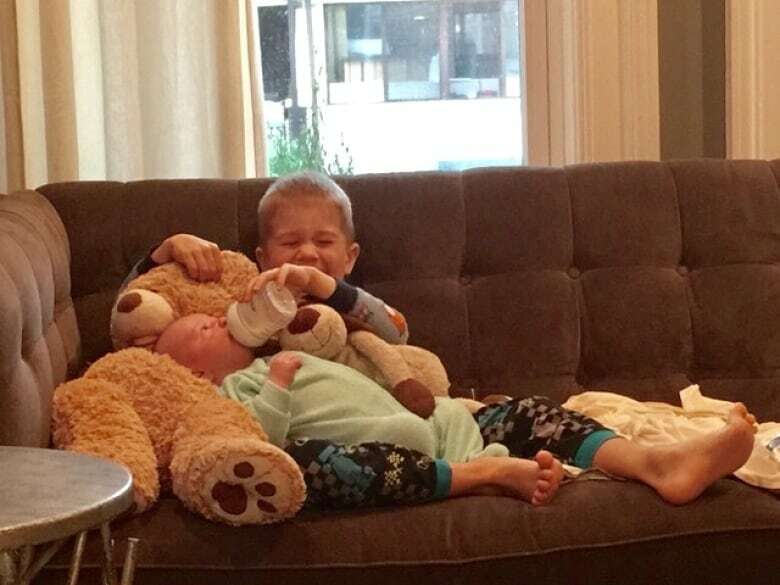 So-called "breastfeeding bullies" have been shaming moms on social media for years. It's easy to find their comments online, on message boards or on parenting blogs. "Formula-feeding is selfish," reads one. "Moms who formula-feed are lazy," says another. The death of a B.C. woman suffering from postpartum depression is drawing more attention to the issue after her husband recently posted a statement on Facebook about her depression — and her anxiety over breastfeeding. The message of "breast is best" has long been touted in doctors' offices, medical literature and parenting groups for decades, intended to be a positive movement aimed at promoting breastfeeding and its benefits. 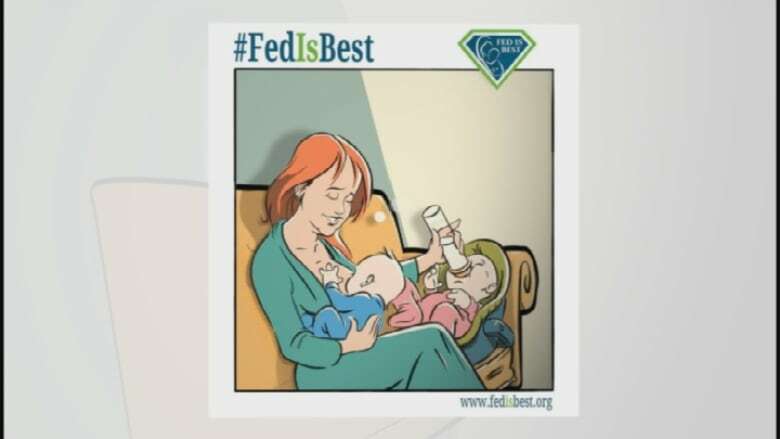 But in this highly charged debate, another campaign has emerged: It's called "fed is best" and promotes the idea that a fed baby is a happy one. 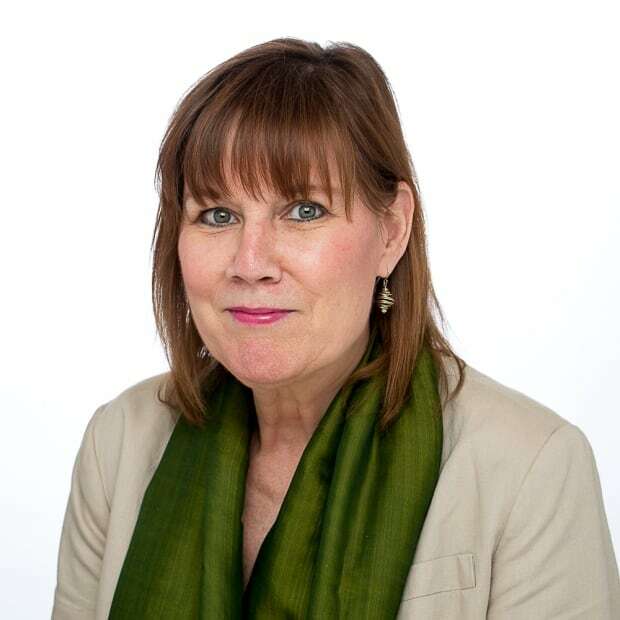 The goal of the campaign, started by a U.S. non-profit, is to make sure new mothers don't feel inferior if they are unable to, or choose not to, breastfeed for reasons including low milk supply, difficulty with breastfeeding technique, a medical condition or the decision to return to work. "Mothers don't just breastfeed anymore — they believe in breastfeeding. They preach breastfeeding," says Courtney Jung, the author of Lactivism, a book that explores the pressure to breastfeed, and the bullying that sometimes goes along with it. "They really believe mothers who don't breastfeed are doing damage to their children," Jung says. Jung has nothing against breastfeeding; she breastfed her two children. But she says it's the "smugness" and the "moral self-righteousness" of breastfeeding advocates that gets to her. "My experience has been that women are pushing back against the established dogmas around breastfeeding and insisting on their own right to choose now," she says. Last year, the American Congress of Obstetricians and Gynecologists tweaked its policy on breastfeeding, saying while it "strongly encourages" women to breastfeed, it also recognizes that a mother "is uniquely qualified to decide whether exclusive breastfeeding, mixed feeding or formula feeding is optimal for her and her infant." The Society of Obstetricians and Gynecologists of Canada isn't planning to follow suit, sticking withits guidelines of exclusive breastfeeding for the first six months of a baby's life and continued breastfeeding up to two years of age or beyond. At Toronto's Michael Garron Hospital, moms who have trouble breastfeeding can get help. Jennifer Levy started visiting the hospital's breastfeeding clinic after she gave birth to her daughter Olive, who's now one. Levy had difficulty getting the baby to latch onto her breast but was able to succeed with guidance from a lactation consultant. "I knew that breastfeeding at first could be challenging," she says. "But I did know, if I stuck with it, and was able to access support and get help, I maintained the faith that it would work out." There are many benefits to breastfeeding, says Toronto family physician Danielle Martin, including improved immunity, lower rates of infections and better cognitive development. But having said that, she says "lots of healthy kids" have been formula-fed. "There's no need to lay it on so thick with women that we make them feel that they are inadequate moms if they can't, or don't wish to, breastfeed."